I have written a few times about the now infamous Taylors (as I've so dubbed them) and their apparent desire to make the school district follow their rules. 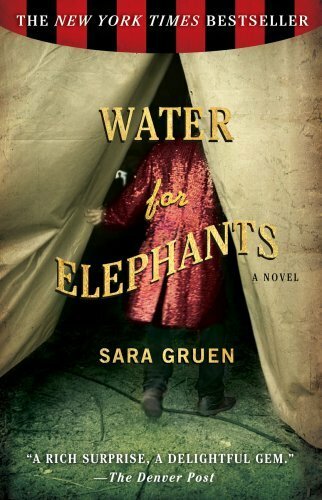 They have successfully had Nickel and Dimed and Water for Elephants removed from the school curriculum, not only depriving students of the literature, but of the opportunity to develop critical thinking and make their own decisions about what they read. More than 400 people have signed an online petition called “Stop Banning Books in Bedford” on the website www.change.org, where anyone can organize online campaigns for changes they want to see in their communities or across the world. The petition stresses the point that while parents have every right to determine what books are acceptable for their child, they should not force their own views upon the school district and demand the books be removed from a curriculum. 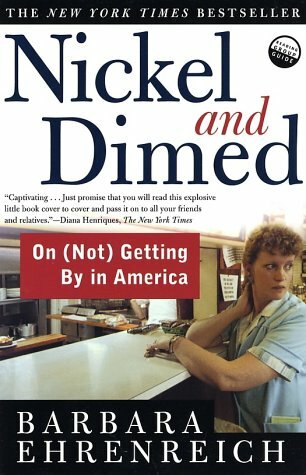 It argues specifically against the views of Dennis and Aimee Taylor, the two Bedford parents who have publicly condemned two books that were pulled this year – “Nickel and Dimed: On Not Getting By In America,” by Barbara Ehrenreich, and “Water for Elephants,” by Sara Gruen. “I think it’s an adequate choice built in, and in this particular case because it’s an elective to begin with,” she said. “To me, what’s more important than reading the book or not reading the book is how the book is taken up and discussed,” she said. “These young adults are transitioning into adulthood. They’ll be exposed to this very soon." "We should be prepared to have meaningful discussions, not just have a closing of doors. In a free society, it’s just inappropriate,” she said. And this is what I keep saying. I'm starting to feel like a broken record, and maybe that means I'm running out of material, but maybe it also means the lesson is just not being learned: parents have every right to decide what their own children should read, but if no other parent has an objection, then the material should be allowed to be taught. It is no single parent's right to decide what is appropriate for children that are not their own. “Mr. Taylor has every right to chose what his teenagers read,” the petition reads. “Our school district has a policy in place. If a parent or student is uncomfortable with a book, they simply need to say so, and an alternative text will be offered. As in many schools, there is an option to choose an alternative title, but the Taylors felt this would make their child feel excluded from the discussion (which they would be in some ways) but that is the choice of the parents and that should not be carried forward to affect every other child in the classroom. What do you think of this situation? Do you think that having the option of choosing an alternative text is, in effect, exclusionary and an inappropriate alternative?